Tower of London visitors were treated to a special performance last week as the British Army's Coldstream Guards performed a rendition of the hit TV show's theme tune while the Night's Watch staged a unique military display. 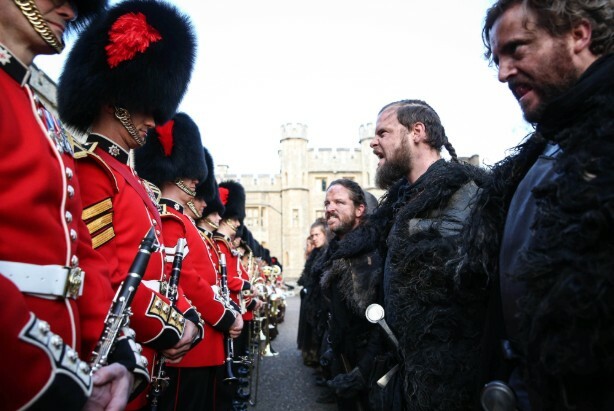 Sky Atlantic partnered with the British Army to choreograph the spectacle, which took two months of military and musical planning. Crowds expecting a traditional Changing of Sentry Duty were met by 12 actors who were transformed into members of the Night’s Watch by a team of expert stylists and make-up artists. Each actor wore a custom-made costume that took ten weeks to create. The film was created by Taylor Herring and produced by the agency’s production arm St Marks Studios. "It has been a groundbreaking seven years and the Sky Atlantic team are as excited about what’s in store as the millions of fans and Sky Atlantic viewers who will be tuning into discover the outcome of the final battle between the living and the dead," added Zai Bennett, director of programmes for Sky Entertainment UK and Ireland.